The Limburger: He was considered one of the greatest Dutch violinists. Herman Krebbers, who for decades was the concertmaster of the Royal Concertgebouw Orchestra, died Wednesday at the age of 94 in Tilburg. "He was my great role model" ... responds André Rieu. 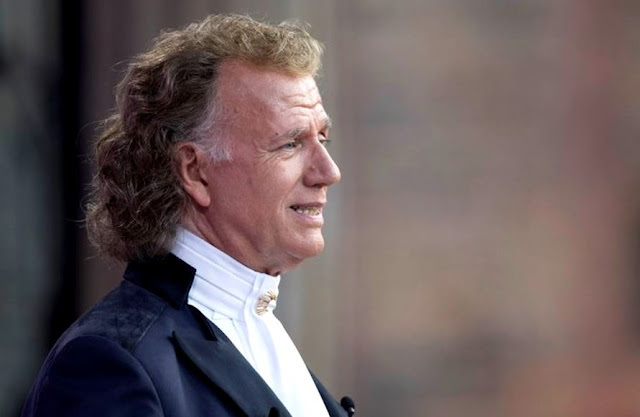 The former prodigy Krebbers is characterized by André Rieu as a fantastic violinist and a unique virtuoso on his instrument. "This morning I learned of the death of my former violin teacher Herman Krebbers, what sad news! In the first place, I wish his immediate family, friends and other relatives a lot of strength with this great loss." He was my great role model .... I wanted to be like him! " Rieu reacts excitedly. Enjoyment "I learned a lot from him, one of the most important lessons were enjoying in what we did, and as long as I felt that and radiated that to my audience, I have been delighted in playing the violin." Thank you, Mr. Krebbers, for your valuable contribution to the music world! " Herman Krebbers continued giving violin lessons well into his later years. Many of his pupils won prizes during competitions at home and abroad.